The Cork's 96FM Giving for Living Radiothon is taking place over the airwaves between the 23rd and 25th May. 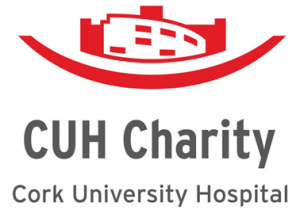 Make sure you tune into Cork's 96FM for Radiothon's twelfth year and hear how your generosity continues to benefit Cork ARC Cancer Support House, Marymount University Hospice, Breakthrough Cancer Research, Mercy Hospital Foundation and the CUH Charity. There are many ways of supporting Radiothon! You can make a one-off donation or become a Friend for Life and make a donation each month. You can also collect coins in your home, school or workplace with a Radiothon Change Box. You can also support Radiothon by running your own Coffee Break. Register for your Coffee Break Pack and Radiothon will send you out a pack of posters, bunting, balloons and delicious recipes. You are also very welcome to attend one of the many special Radiothon events being held all over the city and county.